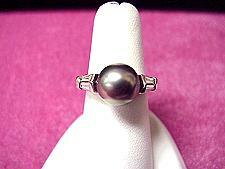 10mm Tahitian black pearl complimented with 0.60CT TW of G Color, SI1 Clarity baguette cut diamonds, set in 14KW gold! 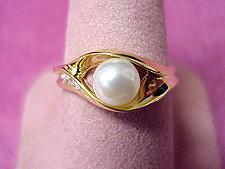 Grade AA fine 5mm Japanese Akoya pearl and diamonds set in 14K gold! 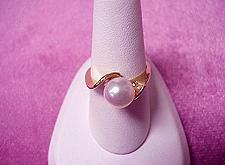 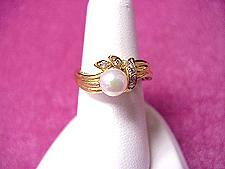 6-6.5mm cultured Japanese akoya pearl ring. 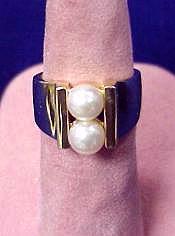 The pearls are mounted custom 14K gold. 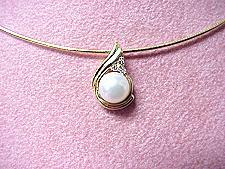 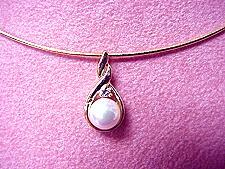 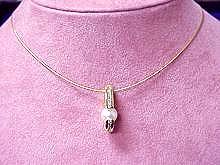 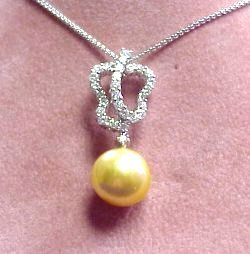 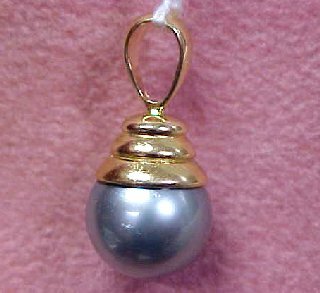 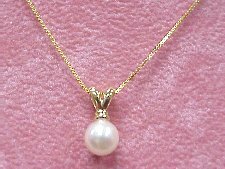 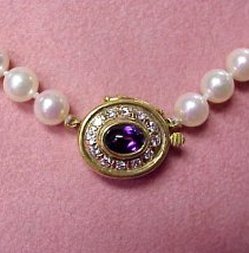 A stunning 6.0mm Japanese Akoya pearl set in a lovely 14k pendant with 14k gold chain.